Empire has been the buzz around the globe since the show hit our TV screens in early 2015. Now we are into 2017 and the Premiere show is now bigger then ever before, with a star-studded line-up for its fourth season, but the show’s 9 original cast are what kept and in some way keeps us glued to our screens each episode despite the departure of some of them from the show. Beyond the intricacies of their dramatic musical lives, we are hooked to their fashion and also their hairstyles. So rad is their fashion that for the second season Empire partnered with Saks Fifth Avenue offering a limited edition collection inspired by the cast’s looks. We explore the hairstyles of the Empire cast. Cookie is undeniably a fan favorite and she got our attention right from when we meet her locked up in jail. After spending 17 years behind bars, Cookie has her eyes set on taking a piece of Empire as the Boss Lady she rightfully is. 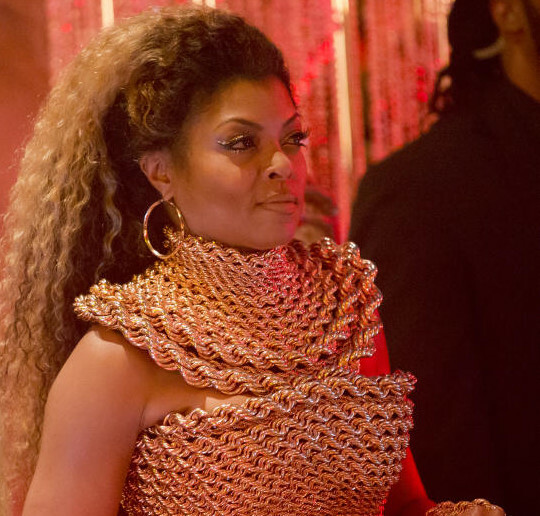 With her luxurious furs, designer body con dresses and name branded accessories; Cookie Lyon is definitetly Empire’s leading style icon right from the designer frock she dons topped off with her equally stunning hairstyles. She often keeps her hair in a long straight brunette look with a side part. However, she changes things up often including spotting ponytails, bangs, buns , big hats and tight blonde curls as seen in season 2. Finally for season 4 Cookie gets her due and her name even briefly appears above the Empire logo. A place that has been occupied by the treacherous Lucious all these many seasons except that one minute when son Lyon so undeservedly occupied that hallowed ground. The epitome of effortless men’s fashion is how the character Terrence Howard portrays, Lucious Lyon, can be described. 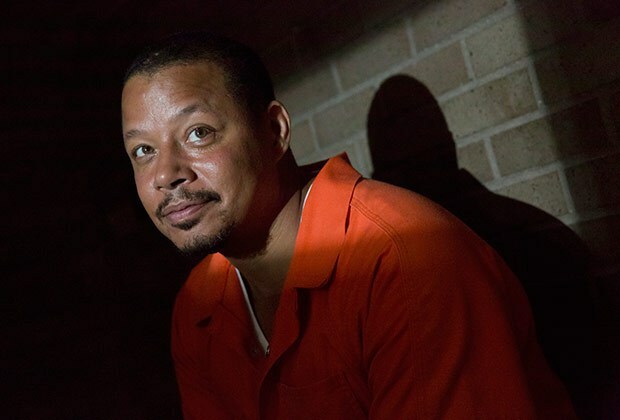 When we are introduced to Lucious Lyon everything about him screams success, wealth and power. However, he is facing an untimely death and wants to bequeath his empire to one of his three sons. This doesn’t slow him down in the least bit particuLarly when it comes to putting on front, fashionably, as the most successful entrepreneur in the music business. He keeps a short blown-out look in season one, but a shorter look for season 2 and he also often covers up fashionably in fedoras. Andre is Lucious’s older son who has been following after his father’s footsteps and seems like the obvious heir to his music business. Out of the 3 sons, he is business minded and markedly power hungry. It comes through the sleek, fitting suits he dons topped off with a neat scalp short hair cut. The second son Lyon, who happens to be a music marvel doesn’t seem to be one of his father’s favorites, because he is gay. He constantly seems to battle for his father’s attention and fleetingly gets it only for the cycle to repeat itself. Jamal dons a toned down look, compared to his younger brother, but his laid back look is a memorable one nonetheless. He keeps a scalp short clean cut to complete the look. 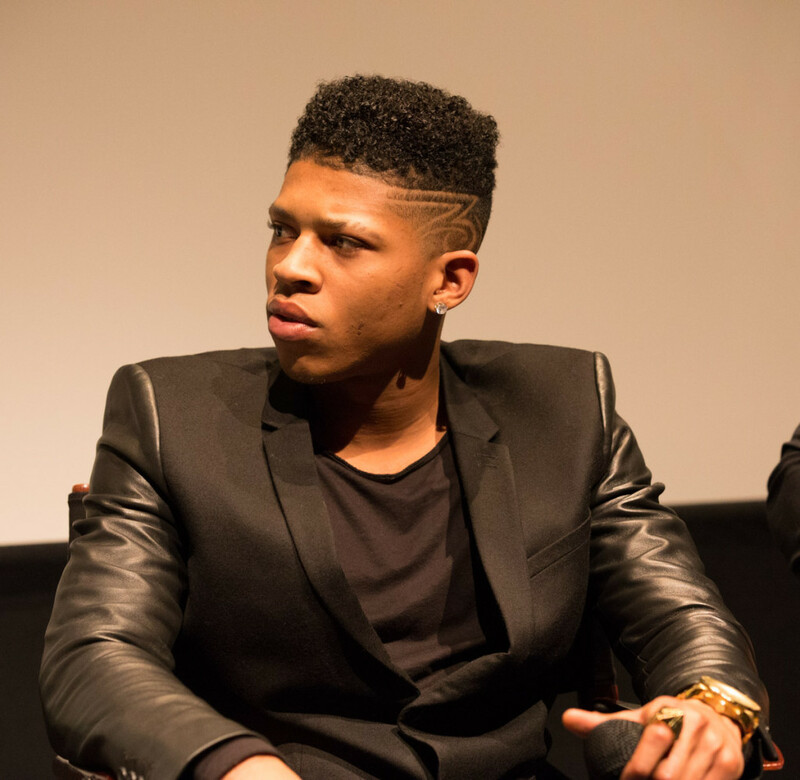 Lucious Lyon’s youngest ‘impulsive’ son, the destined star of the Empire, also is a swagged out fashion icon. His style is a your typical Hip Hop look comprising of graphic tees, harem pants, jeans and of cause a myriad of notable bling. When it comes to his hair he keeps a befitting short ‘Afro-Mohawk’ look. The sassy songstress who has Hakeem caught up in a whirlwind romance caught our attention with her equally sassy fashion flair. When we meet Tiana she is signed up with Empire as one of their feisty firebomb singers. 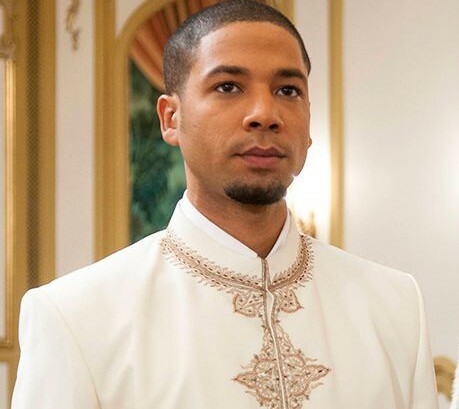 She starts a romantic relationship with Lucius Lyon’s son Hakeem. She is often showing off her enviable six pack in crop tops paired with dance pants. She wears an equally enviable mane of mid-length curly natural hair. Cookie’s right hand girl Porsha also caught our attention right off the bat with her ‘ urabn chic street style.’ Spotting fur coats paired with sweatshirts, jeans and heels you can’t help but notice her luxe posh street look. She tops it off with a rad structural Mohawk hairstyle. Andre Lyon’s wife, Kaitlin Doubleday, sure does stand out in the show as well. She comes across as a caring wife who would do anything for her husband, standing by him through his mental breakdowns. She is as ambitious as her husband and seemingly wants some semblance of control over Empire. She dresses the part, ever so elegantly, in designer frocks. She maintains her long blonde hair with loose waves and a mid-part. She however, as we found out last season, came to see some unfortunate circumstances but she remains a force for quilt in the subconscious of the shows character’s, and as a driving force in their character motivations at times. When we meet Anika she is Lucious’s new flame who does not get along in the least bit with Lucious, except for when they unite to take over Empire. She comes across as a go-getter yet protective woman who would do anything for her man. 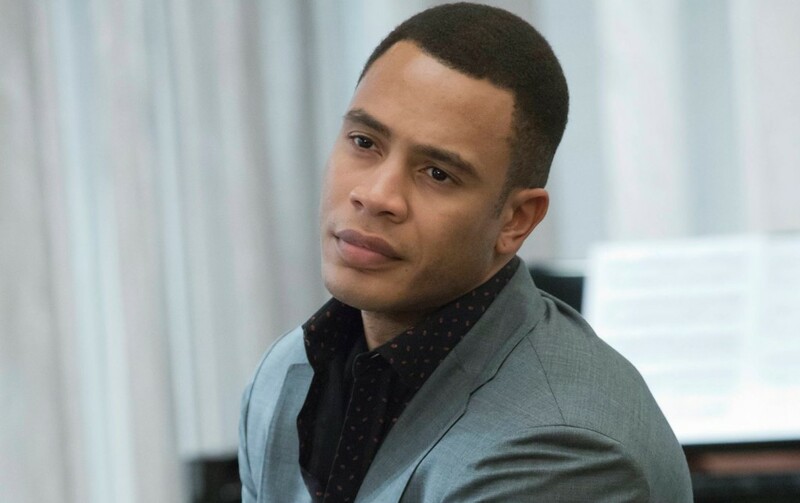 She stands by Lucious through his turmoils in the Hip Hop business and illness, but the straw comes when she realizes that he will never get over his ex wife Cookie. She equally dazzles in a myriad of ensembles and maintains a short cropped hairstyle to complete the look. Empire’s second season brings with it a star-studded guest line-up, with some promising to possibly join the main cast. 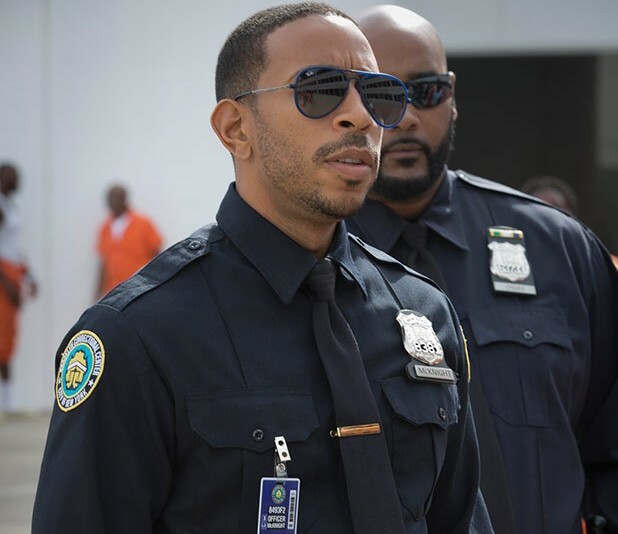 Ludacris is among the noteworthy guests, featured on the 2nd and 3rd episodes so far. He plays the no nonsense prison guard who seems to be out for Lucious. Spotting a dark blue prison guard’s suit paired with a neat, clean hair cut. 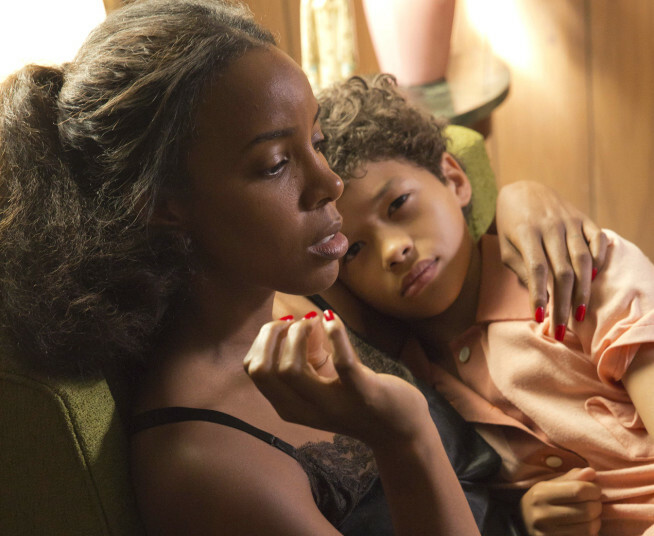 Kelly Rowland makes a cameo appearance in the 2nd and 3rd episodes as Lucious’s mother. She portrays a bipolar woman, giving a glimpse of the circumstances Lucious grew up in. She keeps a natural look during her appearance on the show. She comes to the show as a feisty songstress who is recruited by Hakeem as the lead signer of a Latina group he’s started. Cookie doesn’t take a liking to her, because she is after all one of the distractions that Hakeem doesn’t need in his career at that point. She wears a befitting mane of long lustrous waves to match her persona on the show. 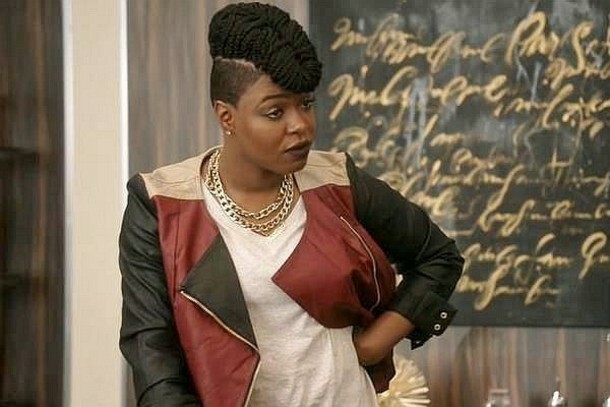 Rapper BreZ also joins the second season of Empire as Freda Gatz, the underground rapper who Lucious terribly wants to sign to his label. She spots an androgynous look and tops it off with a cropped raven style hair cut.